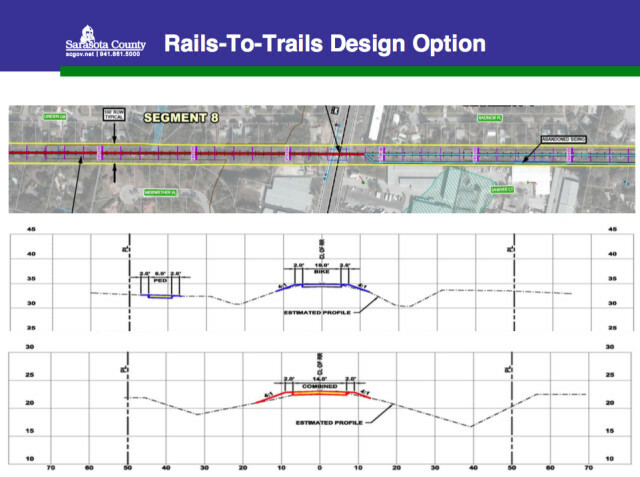 In 2013, members of The Friends of The Legacy Trail accepted a challenge: to raise $75,000 to fund a feasibility study with design options for the planned 7.5-mile North Extension of the Trail from Culverhouse Nature Park at Palmer Ranch to Payne Park in downtown Sarasota. 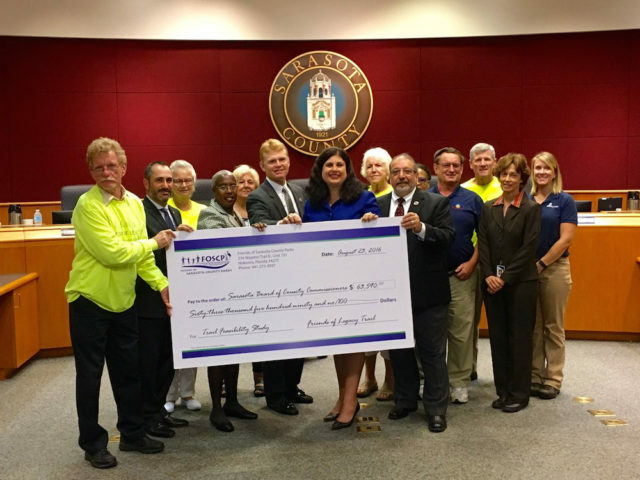 On Aug. 23, the nonprofit organization presented a check for $63,590 to the Sarasota County Commission. Combining that with $14,824 the Friends gave the county in 2014, Vice President Bruce Dillon explained, the commitment was more than paid in full. The Trail, which the county acquired in 2004, Maio continued, is the largest public recreation project in Sarasota County. It encompasses more than 12 miles from Culverhouse Nature Park to Venice. The Friends of The Legacy Trail, he pointed out, has more than 900 members. This year alone, he added, they have volunteered more than 6,500 hours to making Sarasota County a better place for all residents to live, work and play. Thanks to the group’s fundraising efforts, Maio said, a delegation was present that morning “to make another substantial donation” to the county. The organization’s members appreciate the support they receive in all their efforts, he added. With that, the commissioners joined Dillon in holding the oversized mock-up of a check for a photo op.